I have been a fan of horseback riding since I was a kid growing up in Texas. It’s something I try to do wherever I am, as it provides a good opportunity to see landscapes not otherwise accessible, as well as time to chat with a local about their home. As you can imagine, I was super excited this past summer when my son was finally old enough to go on his first trail ride outside of a stable or ‘amusement park’. He was hooked and now also looks for any opportunity he can to ride. 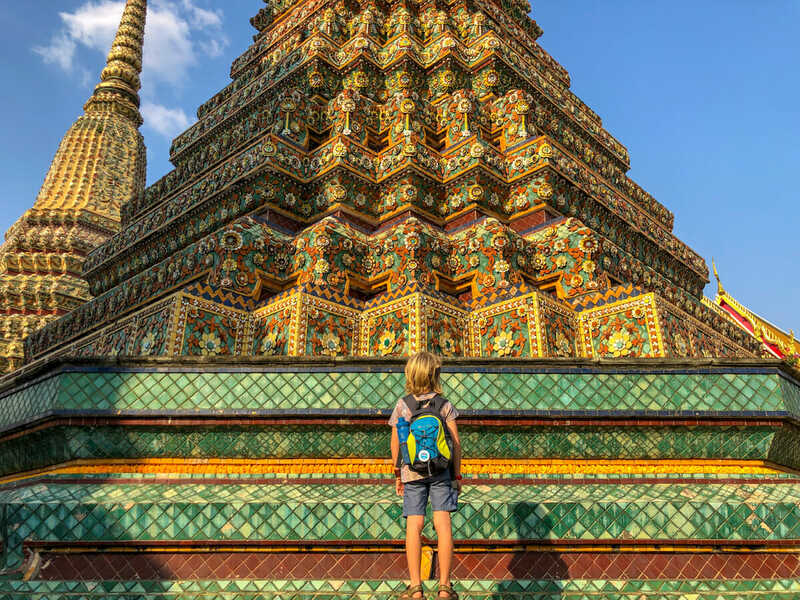 It has become our perfect family friendly outing that everyone enjoys. That said, it’s not surprising that my son kept noticing all of the horse crossing signs throughout Tucson during our visit. If you have horse riding fans like my little one, you will be hard pressed to get out of this beautiful town without getting on a horse. One of the best things to do in Tucson is to stay at a ranch where you can ride horses every day. Since this isn’t a possibility for all families, I thought I would also give a few options for where you can ride without a being a guest at a ranch. In our 10 day stay, we had the opportunity to ride at several different places and were recommended a few as well. 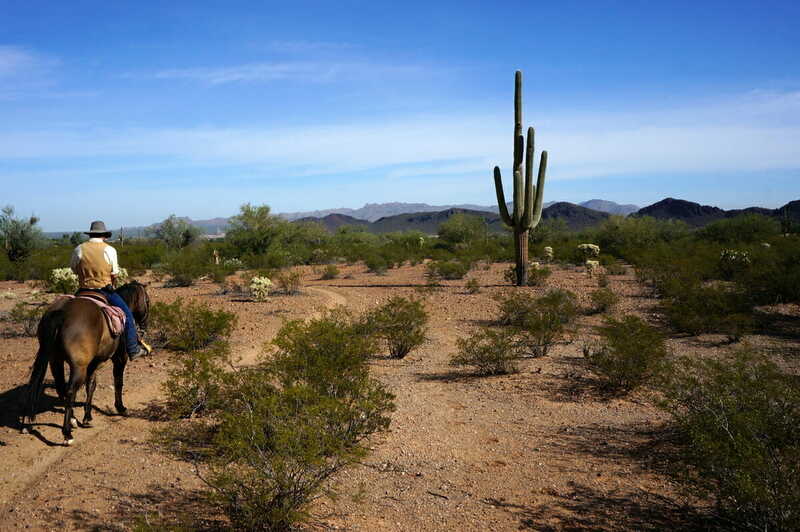 Regardless of what you end up doing, don’t miss your chance to go for a trail ride in the desert landscapes of Tucson. We were provided several referrals from our hotel, but being short on time and wanting something last minute we found our way to Spanish Trail Outfitters. Upon first impressions, I was not impressed. The stables are located just at the bottom of the Hacienda del Sol Hotel right in the middle of the city. It’s wasn’t quite what I had imagined when we thought of doing a trail ride. However, I have to say, even though you are so close to an actual neighborhood, once you get down into the river basin, you can almost completely forget where you are! 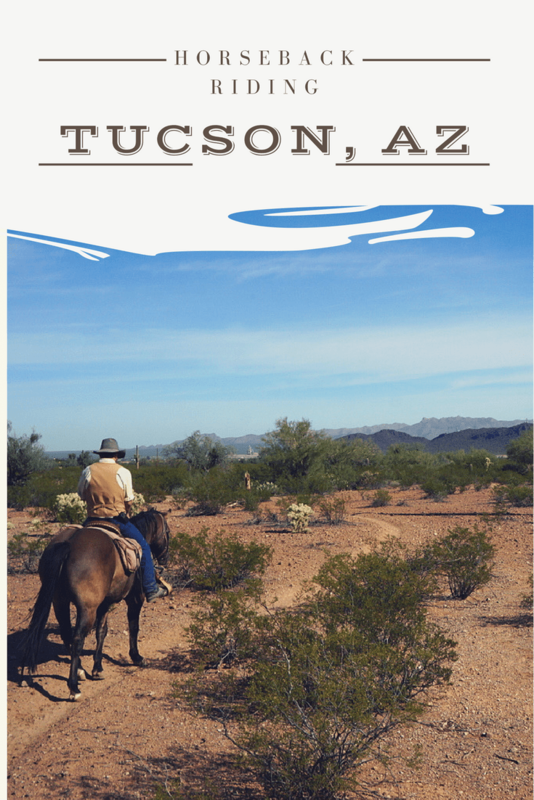 This is a perfect option if you are staying at the Hacienda del Sol or the nearby Westin La Paloma and do not have a ton of time, but what to get out on a horse for a bit. Spanish Trail Outfitters offer flexible rides with lead line rides around the property for 20 minutes for kids who just want a little excursion but the parents aren’t up for it, 1 hour and 1.5 hr loop rides in the river basin below the ranch as well as sunset rides. We opted for the 1.5 hr ride which was perfect. Our wrangler, Regina, was awesome. She is very knowledgeable about the horses, the flora and fauna in the area as well as Tucson in general. Houston’s Horseback Riding was recommended to us, but we were not able to get on any of their tours at the last minute. Houston’s offers 2 hour tours taking guests into Saguaro National Park in the Tanque Verde Valley. This is a great way to see the park more in depth. Houston’s was very knowledgeable on how to ride with kids and were well equipped with all the supplies a child would need (small saddles, stirrups and helmets). They also offer dual saddles for kids smaller than 6. If you want to visit the eastern side of the park, this is a great way to do it. 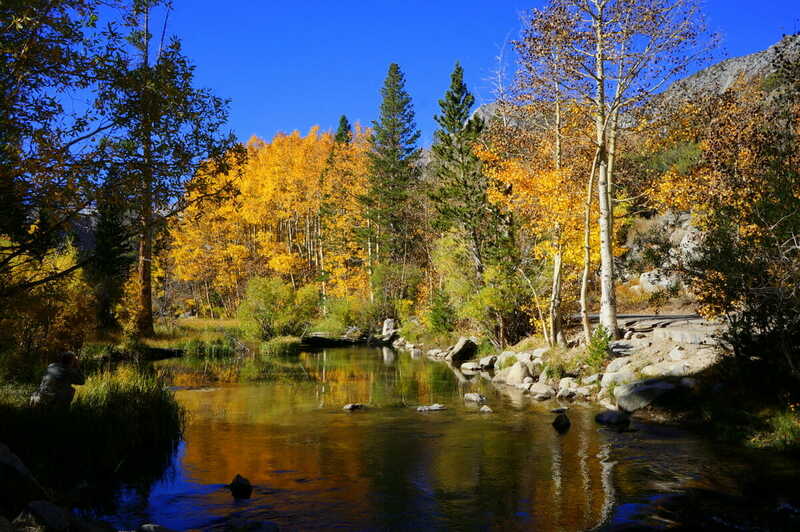 Our recommendation for a day out here, would be to drive the 8 mile loop inside the park, while the kids are working on their junior ranger badges and then head out on a horseback ride before getting dinner at Poco & Mamas. 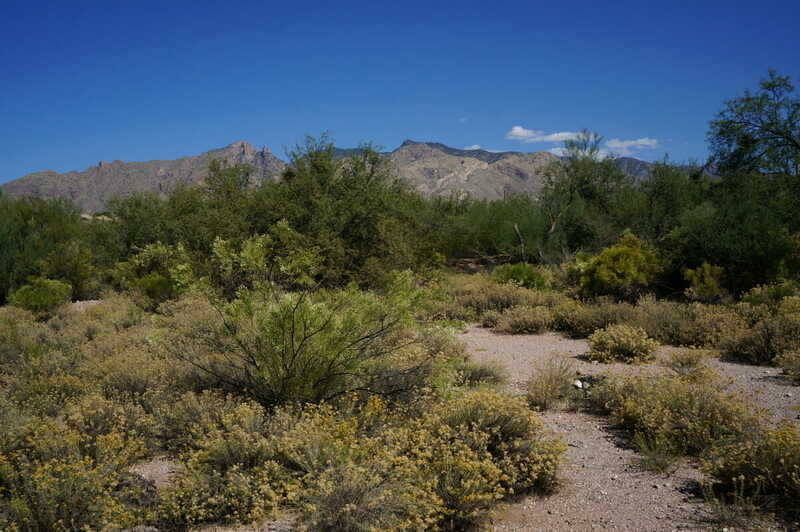 Tucson Mountain Stables is located on the west side of Tucson, just next to White Stallion Ranch. Tucson Mountain Stables takes riders through the White Stallion Ranch property which is adjacent to the Saguaro National Park. This is a win-win for those who aren’t able to stay at the ranch, but want to experience rides in the desert terrain. We took a 1 hour ride through Tucson Mountain Stables during our visit and loved it. The wranglers were super helpful and accommodating to all shapes and sizes of us. Since ours was a group ride, if you were not close to the wrangler you probably didn’t hear a ton, but I was lucky enough to be close to the front to chat the entire time. Rides are pretty economical comparatively at $40 for 1 hour, $60 for 1.5 hrs and $70 for 2 hours. They also offer a sunset ride for $65 that would be beautiful as the sun sets over the large saguaro’s located on the property. Even if you are not staying at the Hilton El Conquistador, you are welcome to book horseback riding at the 18 horse stable located on the hotel grounds. El Conquistador Adventures is located between the hotel itself and the tennis courts, off the main road, making it super convenient if you are staying at the resort. El Conquistador Adventures offers 1 hour ($60), 1.5 hour ($75) and 2 hour ($100) rides as well as sunset rides, wagon rides and carriage rides. 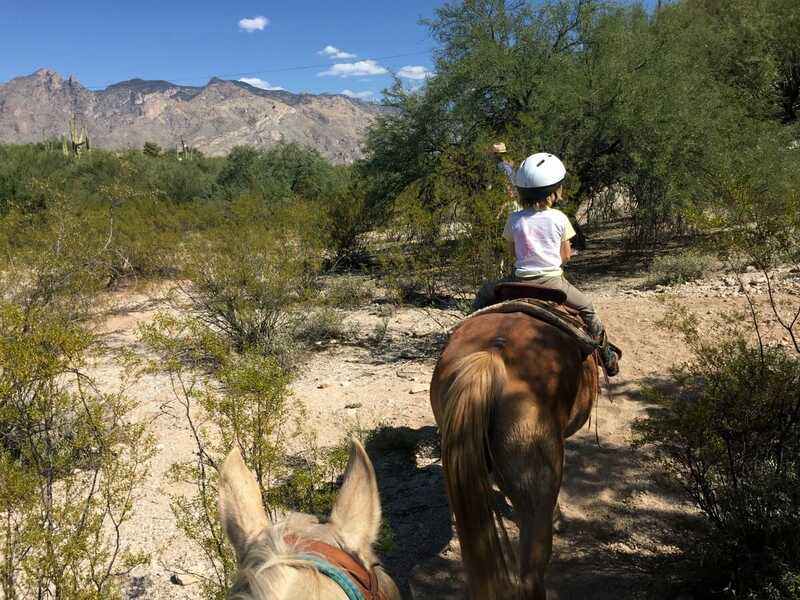 Children aged 5 and up are able to ride out on the trails in the Pusch Ridge Wilderness Area with the groups. Most rides are operated on the hour as group rides, however, if you would like a private ride, that is also possible for an additional $25 more per person. 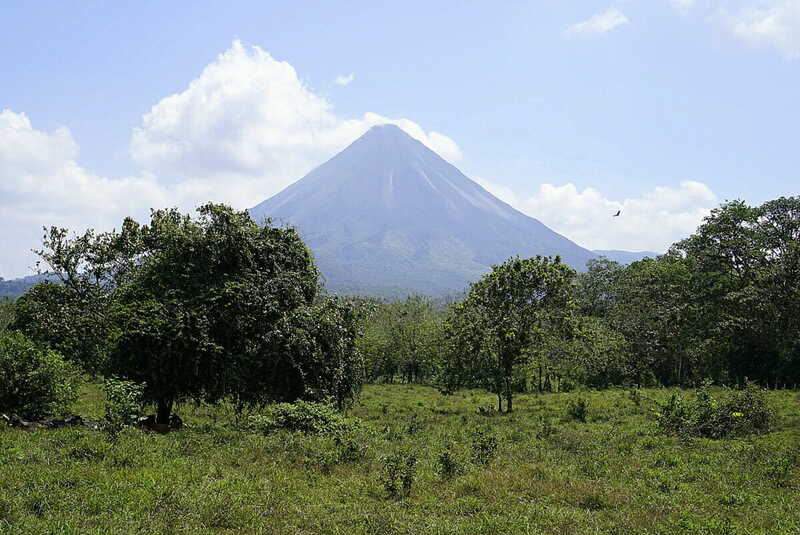 The area surrounding the Hilton El Conquistador is beautiful and would be wonderful to explore on horseback. During our visit the stables were not opened yet, so we were only able to hike the trails, but I can attest to how spectacular the views are. Even though Tanque Verde Ranch is a full service ranch offering guests all the riding they can possibly do during their stay, the ranch also allow non-guests to ride if there is availability. Booking well in advance would be necessary, however, you can always call at the last minute to see what the current availability is. 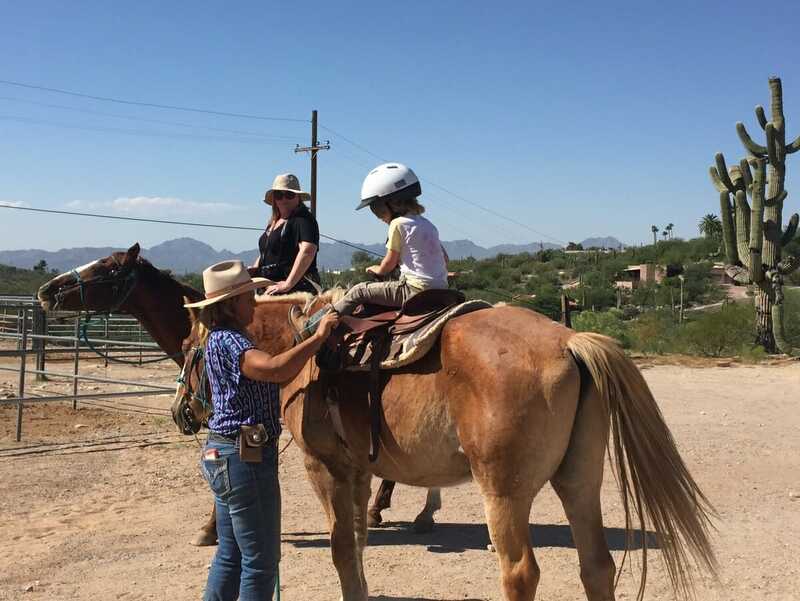 Participating in the Tanque Verde Ranch riding program is a good way to test out the options that might be available to families were they to splurge on a weekend retreat. However, note that for non-guests, the rules are a bit different. Kids under 12 must ride as part of the children’s riding program, which means that families who want to ride together, they would be required to ride with their children in the kids program. However, for children above 12 years old, the a la cart options here are great. While planning your adventures in Tucson, make sure to check out the other posts we have on Tucson: Where to Stay, Where to Eat & What to Do. 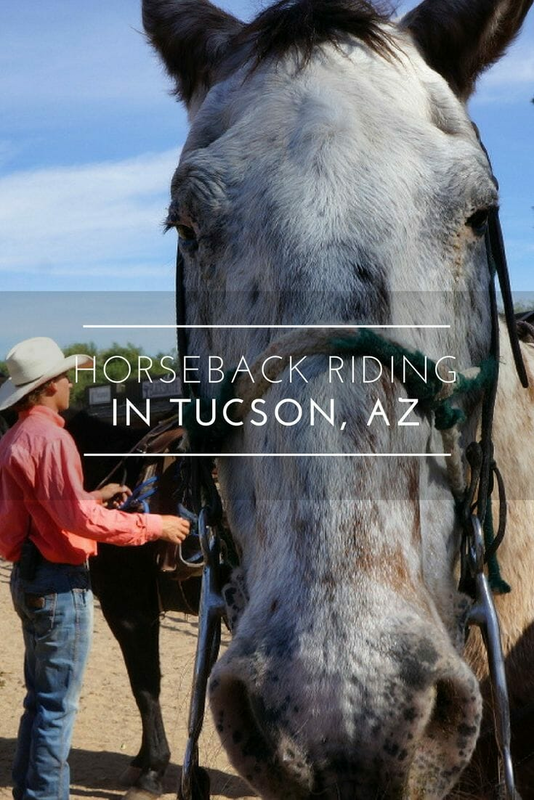 Have you ridden horses in Tucson? What were your favorites?